Do you wish to experience an unforgettable winter holiday? Then Salzburgerland is the right destination. Beautiful mountains, healthy surroundings, wonderful fresh air and of course snow, snow and more snow. Skiing? Certainly. Thankfully there is even more to do during the winter. The choice is yours. Without exaggeration, Salzburgerland is a paradise. 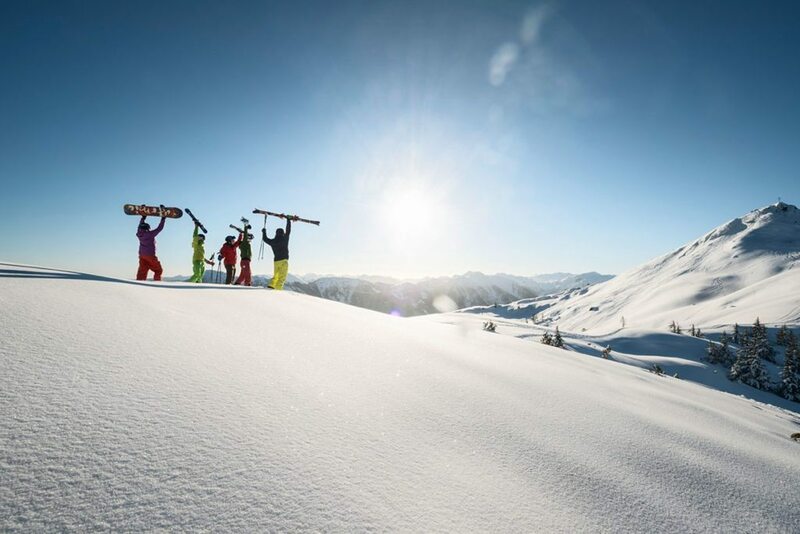 Skiing and snowboarding on 760 km of exceptionally prepared slopes; More than 150 km of well-signposted and well-tended ski runs. Walking? You can go walking on dozens of kilometres of clean-swept walking paths or with special snowshoes through the untouched ‘deep snow’. A trip in a horse-drawn sleigh through the snow-covered winter landscape with a view of the Salzburg mountains is a truly unique experience. 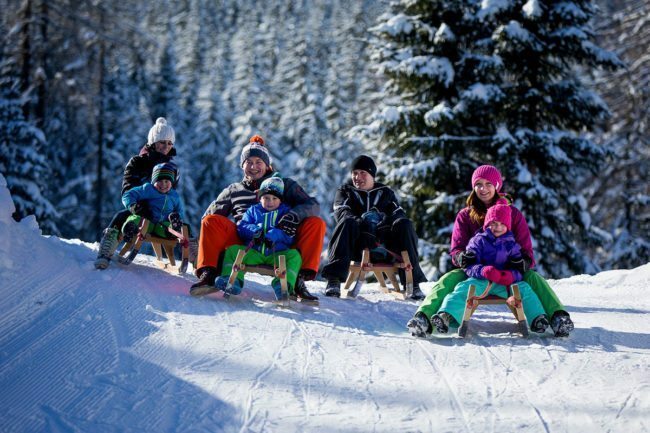 Sledding, or sleighing, can be done both during the day and in the dark thanks to six illuminated paths that are 3 to 4 km long. Would you rather warm up, relax and build up some energy? Visit the Therme Amadé: a sauna that is a true experience, suitable for all ages. The ski region of Filzmoos and the surrounding area is renowned for being tranquil and family friendly. 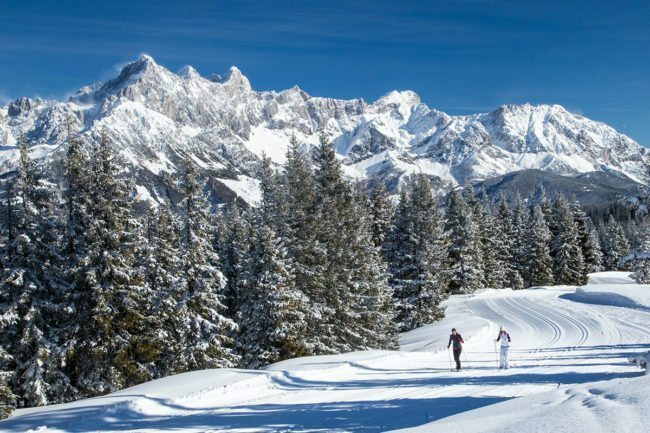 The Schischaukel Filzmoos Neuberg is 300 m away from Haus Dachstein: three skiing schools offer lessons at various levels. 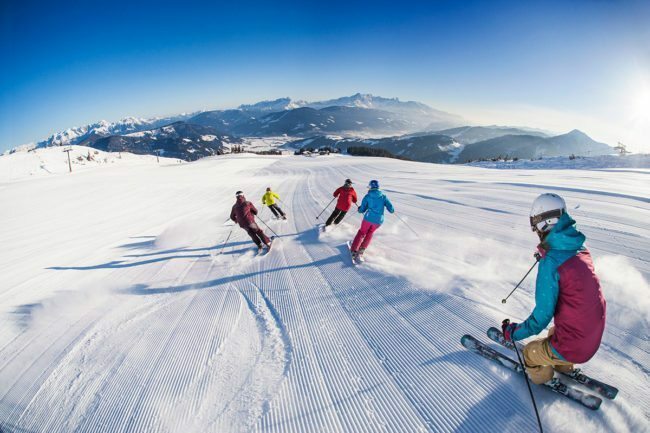 You can learn to ski, or improve your existing skiing skills. The schools offer lessons for advanced skiers at various levels. You have a wide range of choices if you have developed a taste for skiing and wish to ski in another skiing area. There are six other ski areas in the immediate area of Filzmoos. The ski bus stops very near Haus Dachstein: just 50 m to walk. The winter walking paths and the trail entry are also located near the house. 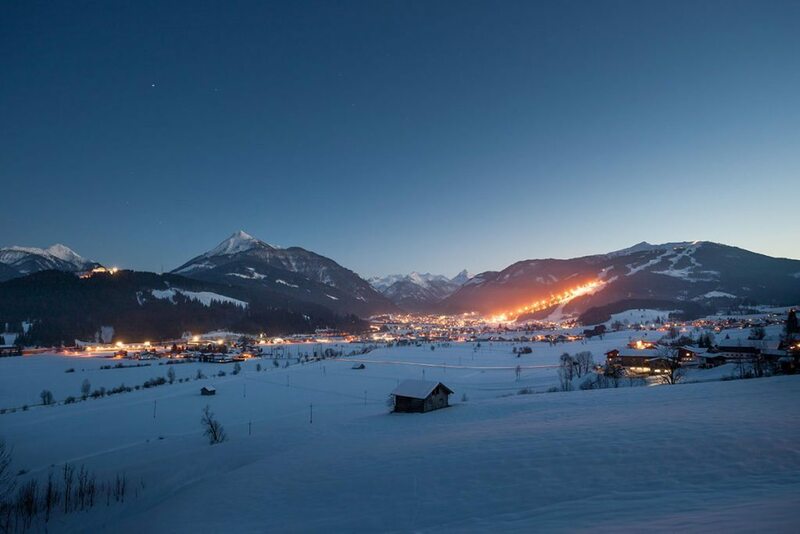 Located in the heart of the Salzburger Sportwelt, Flachau is among Europe’s top ski areas. There are slopes at every level that are located close to each other. The ski bus stops just in front of the Dertnig Apartments. 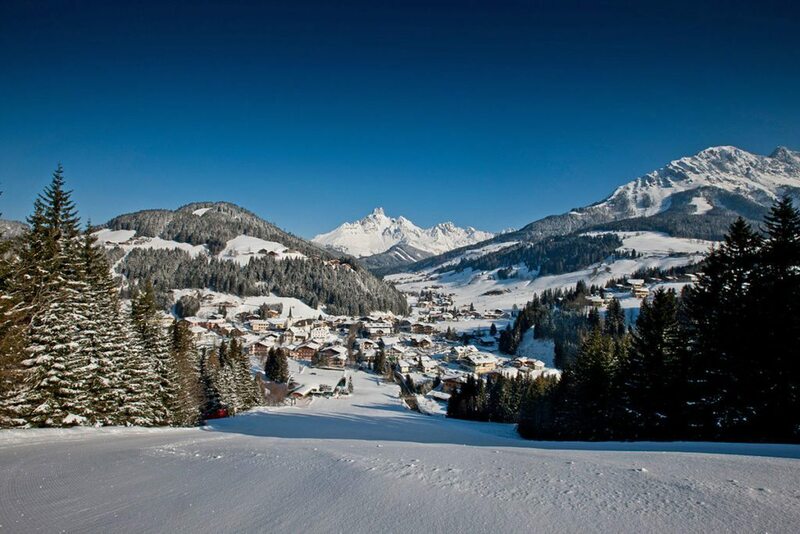 You are 5 minutes from the ski lifts, ski schools, sport shops and ski rental shop. Shops, restaurants, cafés and après-ski bars are located within walking distance of the house. Flachau also has a good reputation as an après-ski region. Do you wish to party and enjoy the nightlife? Of course you do. There are plenty of spots to choose from. Find the vibe that suits you in the many bars, pubs, discotheques and après-ski locations that Flachau has to offer. An apartment in a pleasant, small-scale complex is the ideal base for enjoying the gorgeous surroundings each day. Head for some fun in the snow and enjoy your holiday!